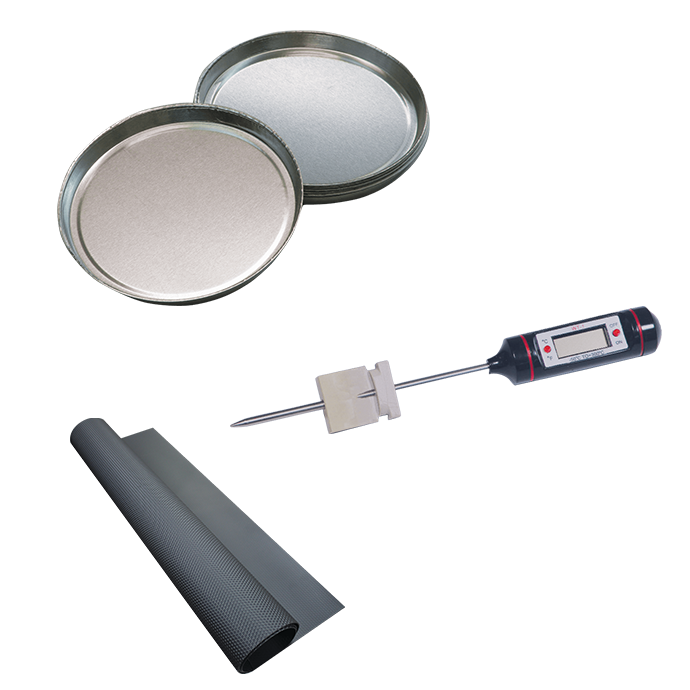 This temperature calibration kit for the PMB Moisture Analyser can be used to help calibrate the temperature sensor. The kit comes with a case and a device to hold the sensor in the optimum position. The relay box is an add-on compatible with ABK, AFK, Warrior and AE 402 Indicator. This product allows checkweighing limits to trigger a voltage relay, allowing the scale to drive items like motors or lights. This battery pack is for use with the Nimbus NBL Analytical and Precision balances, designed for use where power is not available. The rear display is a factory fitted item that can be added to the WBW Washdown scales. It enables users to have a view of the weighing information on both the front and back of the scale. Pack of 250 10mm deep aluminum sample pans for the PMB moisture analyser. The tripod legs raise the height of the TBB triple beam balance for performing density / specific gravity calculations. Expand the TBB's capacity to 2610g with this counter weight set. This durable safety non-slip rubber mat for the CPWplus models with pan size 900 x 600mm helps to protect animals and the scale's platform. The AC adapter for the CB compact scales provides power for the balance so that you can use the CB without the batteries. To stabilize a freestanding indicator that is separated from a scale, attach it to the indicator stand for reliable support. Sturdy aluminium construction is also lightweight, so the stand is easy to transport.